Shown with optional side handle. 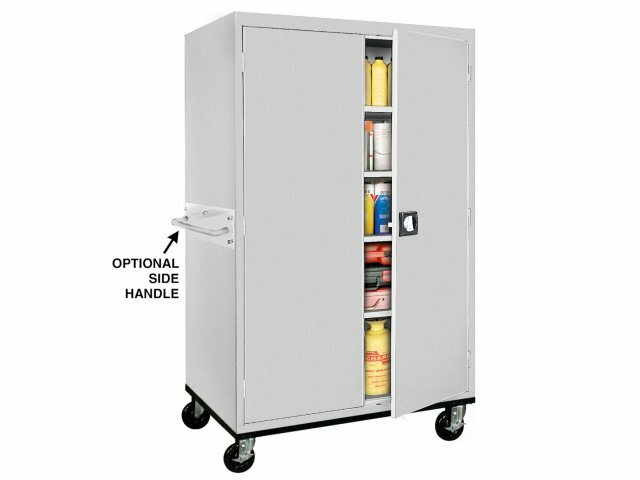 Extra-Wide Metal Cabinets Store More and Cost Less! 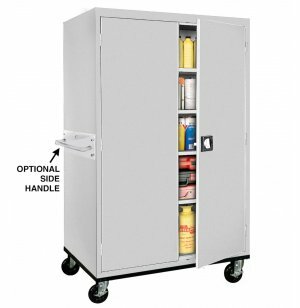 These 46" W-I-D-E jumbo storage cabinets are made of heavy-gauge steel that meets ANSI/BIFMA shelf standards, with a shelf capacity of 225 lbs. Four fully-adjustable shelves in 2" increments plus a raised bottom shelf. Three-point recessing locking handle and three-hinged doors for enhanced security.